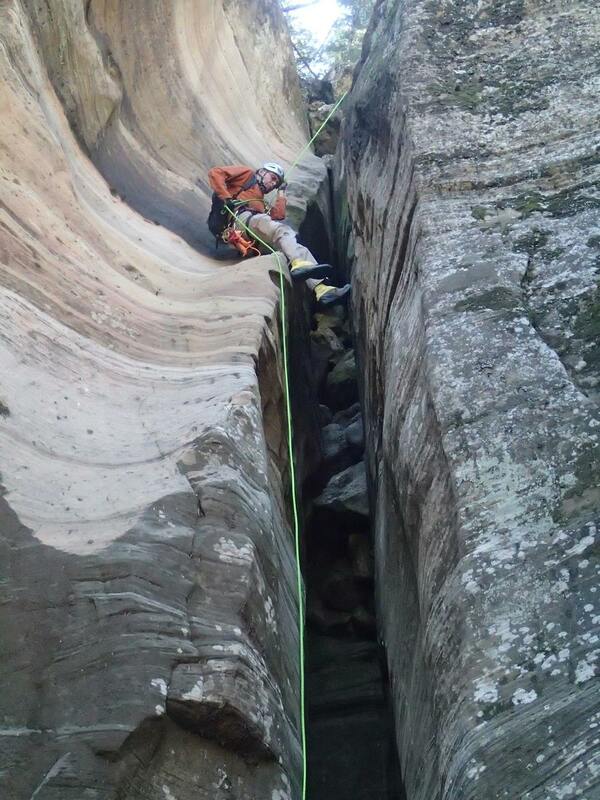 Crack Addict Canyon, AZ - Technical canyoneering description, location, GPS route, photos, topographic map, and weather information. 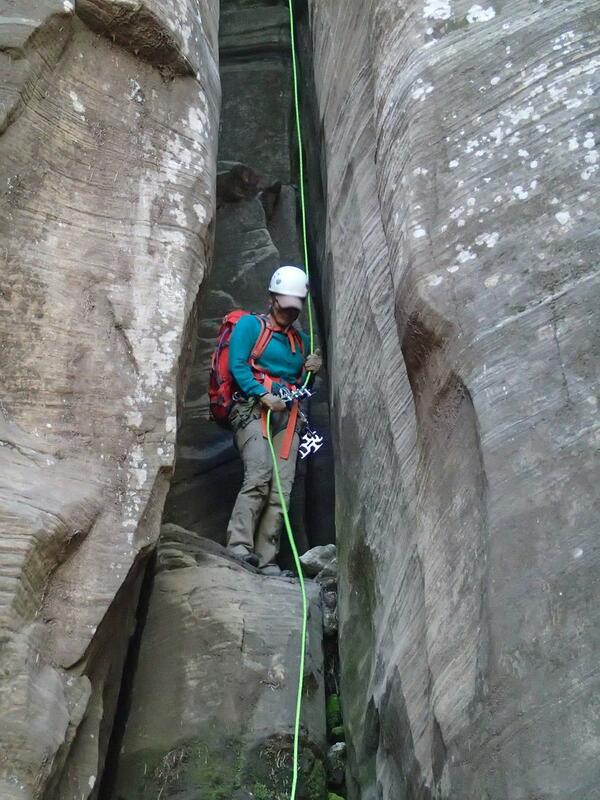 Crack addict is a straightforward short trip through a fault crack that seems to see action when people are out enjoying the Sedona area and looking for something short with fun payoff. 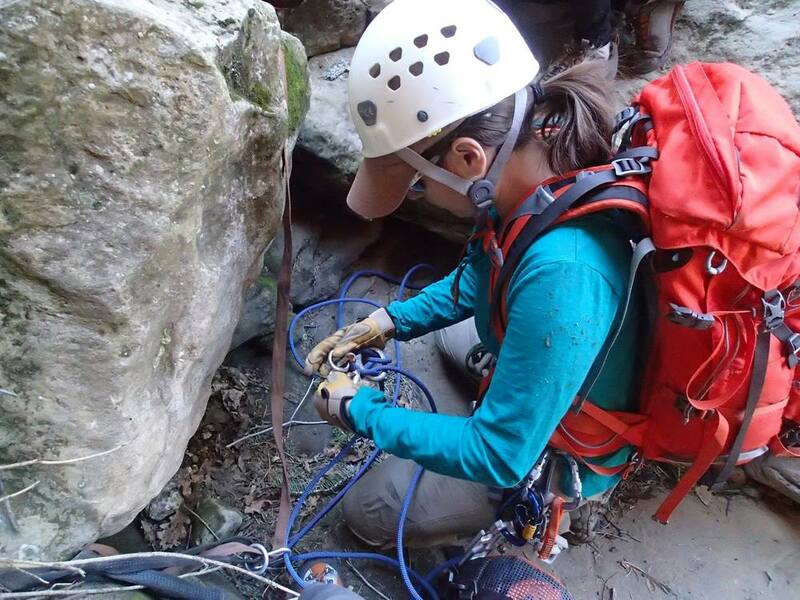 Throughout the trip there are approximately 10 rappels encountered, most dry, but typically a shallow (waist deep) pool roughly two thirds of the way through and a pool (up to shoulder deep) at the base of the last large drop near the end. 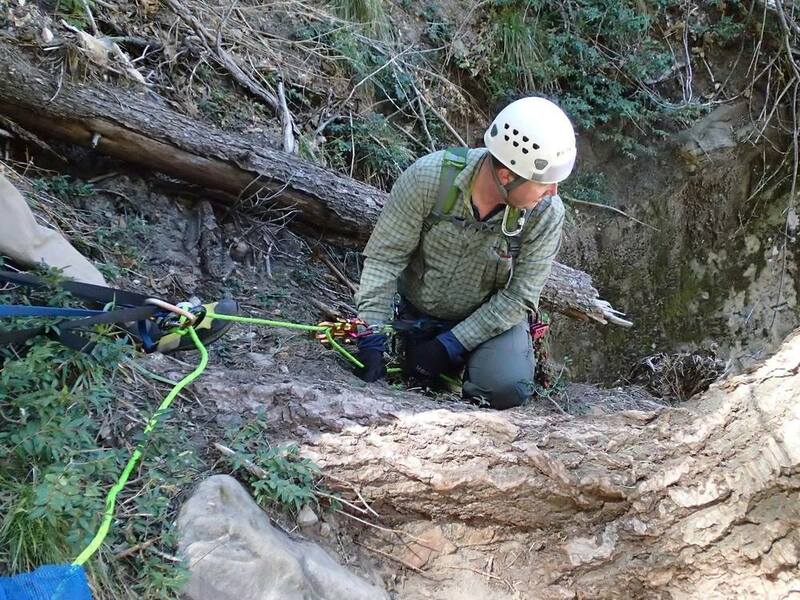 We typically travel through with a couple 200' ropes anda 100' to cover the drops, along with an insurance policy. Mind your rope placement and pull on the final large drop as there is a crack near the bottom that seems to be a rope magnet on occasion during the pull. It may be possible to bypass the first of the two pools, but typically the final pool has at least one member getting a little wet. 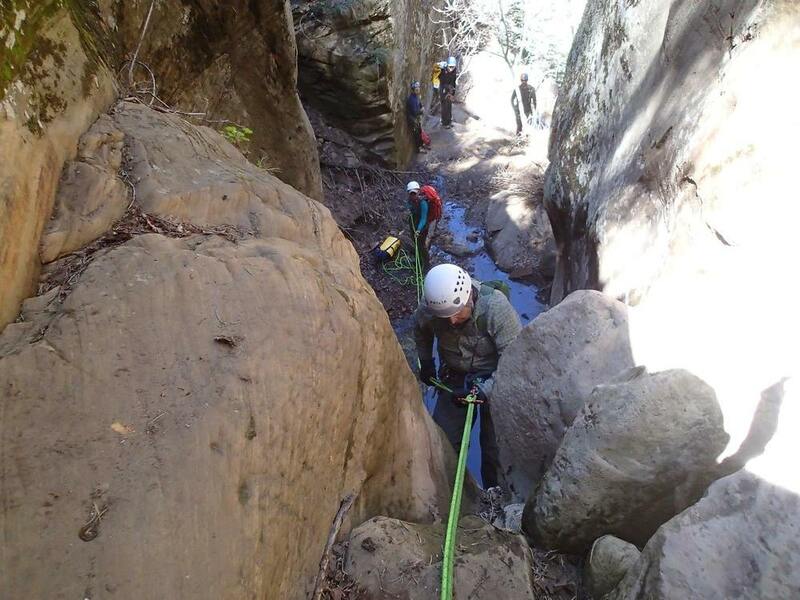 There are a few ways to approach the canyon and depending on your situation, one could drive in and simply loop back up Sterling back to your vehicle, set up a shuttle along 89A, or by hiking in from 89A via Sterling Canyon. Looping around back to the top will most likely be the option that saves the most time, assuming your vehicle can travel down the sometimes very rutted 535A. Driving in to set up a shuttle is an 11.8 mile journey that allows you to park, walk five minutes down a hill, and start the journey. This of course requires two vehicles and the road here can be rather rough especially on 535A and high clearance would prove beneficial on occasion. The third option is entry by hiking up Sterling canyon, working up the hill, and hiking over to the drop in. This requires slightly more effort to complete, but allows access by a single vehicle with no special off road capabilities as the parking location is directly off the pavement of the 89A. The track in blue represents where parking has been traditionally used for the shuttle route, while the track in green depicts the tank loop route. One thing to note, is that there is a gate on 535 that gets locked in the winter to prevent access due to snow. If this is the case, its my experience that hiking in to complete the canyon can be slow, dangerous, and probably not the best idea. Checking to see if this road is open prior to heading out will most likely save you from a long miserable day in a snowy canyon.